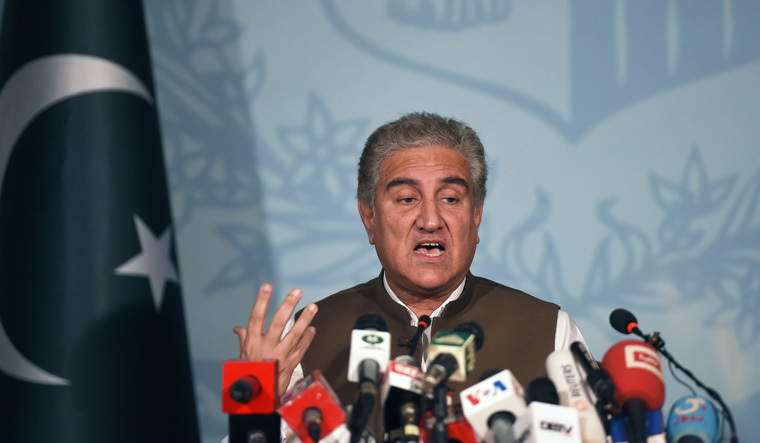 Pakistan wants to "move on and improve" its relations with Washington by putting behind the controversy over the content of handout of Secretary of State Mike Pompeo's phone call to Prime Minister Imran Khan, Foreign Minister Shah Mehmood Qureshi told lawmakers today. Controversy erupted after the US State Department spokesperson in a statement said that Pompeo during his conversation with Khan raised the importance of Pakistan taking "decisive action" against all terrorists operating in Pakistan and its vital role in promoting the Afghan peace process. Pakistan's Foreign Ministry took exception to the statement saying, that factually incorrect statement was issued by the US State Department on phone call between Prime Minister Khan and Secretary Pompeo. Qureshi while addressing the Senate, the upper house of Pakistan's parliament, in response to a query by former Senate chairman Raza Rabbani about controversy over the telephonic talks. The foreign minister said that he knew the US position about the talks between Pompeo and Khan but he was also aware what US said in the readout was "contrary to the facts". He, however, struck a positive note by saying Pakistan expects that the visit by the top US diplomat, on September 5, would improve the bilateral relations with the US. The US has long been frustrated with Pakistan's overt and covert support to the Afghan Taliban and other terror groups, forcing the Trump administration to warn Islamabad and slash military aid to the country. "We want to move on and improve the relations," he said. He once again said that conservation between Khan and Pompeo was cordial and constructive in nature. Qureshi said that national security and foreign policies were interlinked and "we should demonstrate unison on them" as unity will give strength to the nation. He also assured that guidance will be taken from parliament in formulation of foreign policy.